Christmas tours from 25th December until New Year's Eve, also night tours on Christmas Day. Loučeň will remain open for you even in the most wonderful holidays of the year. The Advent program that we call Christmas “farewell to Loucen”, can be somewhat deceiving by its name. We don’t actually say farewell to our guests even on Christmas Day. Until the end of the year you can still enjoy Christmas festivity as well as night tours and even the first New Year's Eve celebration. For the first time in the history of the castle we will be open on weekends in January and February when you can experience the “Mysterious January” with Fantomas and “White February” with the White Lady. But in front of us is a long and quiet time from Christmas Eve to New Year's Eve. How we can spend it? 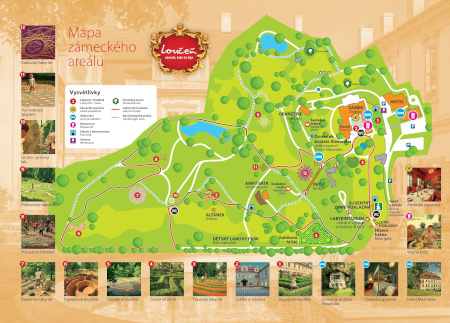 "Loučeň will open this year from 25th December until New Year's Eve continuously every day, from 10.00 to 17.00, "said the castle manager Jiri Senohrábek. Castle Loucen on Christmas Eve will have wonderful festive decorations - it is definitely worthwhile to see the castle interiors. In addition, you can still see an exhibition of photographs of Czech celebrities, captured by Jadran Šetlík, the most famous Czech photographer of prominent personalities. "A unique portrait of Karel Gott, Andrea Verešová, Jaroslav Svěcený, or Thomas Bata are part of castle rooms decoration so you do not pay more to see them," says the castle manager Jiri Senohrabek. On Christmas Day, 25th December as well as daily tours, you can enjoy a night tour of the castle by candlelight, either from 16:00 or from 17:00 . "It pays to make a reservation for one of these times in advance, but if the interest exceeds the capacity of these two tours, we guarantee that none of you leave the castle disappointed. The Castle will be accessible for everybody, "said Jiri Senohrábek. 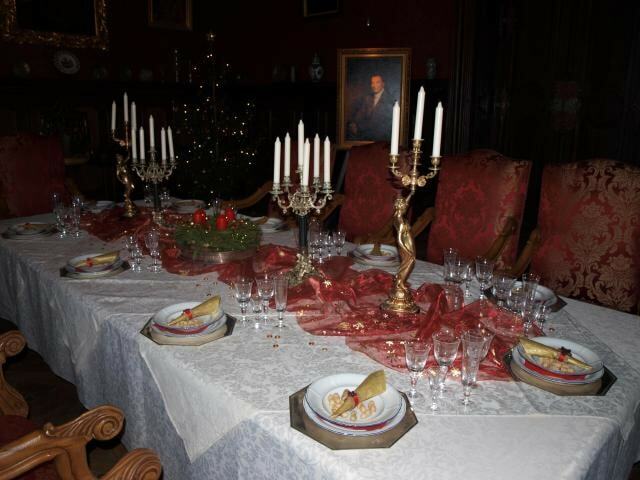 The castle Loucen also offers a celebration for New Year's Eve called ″New Year's Eve in January″. The New Year starts with a unique tour of the castle with Fantomas acting as a detective, who takes the castle visitors as assistants, and during a search they must interactively solve many mysteries and puzzles to find out a long family secret of Thurn - Taxis, former owners of the castle Loucen.